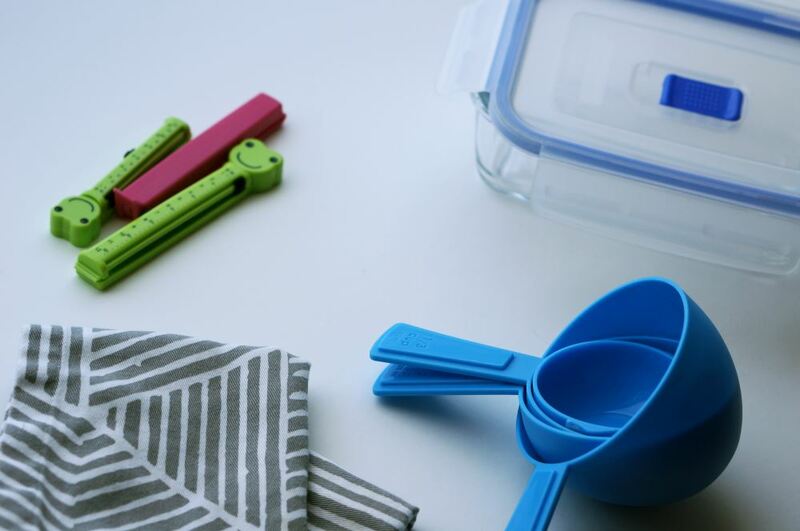 I arrived to Chile last week and I thought it was the perfect time to share with you the kitchen items that I like to bring whenever I travel for work. I enjoy cooking and eating homemade food and I’m lucky to stay at apartment hotels or serviced apartments when I travel for work. However, most of these serviced apartments are not meant to be used for people who love to cook. I try to improvise and make the best with what I have but it’s not always enough. After so many trips, some of these items always go with me on my business travels, to ease my cooking and to avoid buying multiples of stuff I already have. I’ve categorized them in two categories – essential and nice to have. Mostly because it depends on the amount of free time that I think I’ll have on my business trip. Knife – Dull knives are the worst. Just bring one knife that you like with you and you’ll be thankful that you don’t have to deal with dull knives. I forgot mine and really had to get one! Perhaps it’d be better to just bring a small knife sharpener but I don’t have one of those. Maybe if I had those ninja-knife-sharpening skills I didn’t need this – just entered the rabbit internet hole of sharpening a knife with a coffee mug! Guess I’ll have to try it then? So just train on how to sharpen knives with a coffee mug and you won’t need to bring a knife with you ahaha. Yogurt maker – I bought my Easiyo yogurt maker back in New Zealand and it has been traveling a lot, since it’s basically a thermos there’s no risk in putting it in my checked baggage, if it was one of the electric ones it’d require more conditioning but still doable though. I make 1L of yogurt for the week (okay sometimes I make 1L and it only lasts until Wednesday, you got me!) and I’m good to go. Having said that, I decided not to bring for this trip as I love the yogurt in Chile (most of the New Zealand yogurt I had access to had cream on it which I didn’t like) and there are 1kg packages that don’t make me feel as bad for consuming packaged yogurt and making my yogurt requires one small yogurt anyway. Bowl – I also bought this in New Zealand, when the serviced apartment I was in didn’t have anything to mix ingredients, and it’s so versatile for everything. You just need one really, for mixing dough or making salads, it has got you covered. Pair of cloth napkins – I’m going to bring this for the first time in an attempt to reduce a little bit my waste and it doesn’t take a lot of space in the baggage. And I was the one who made them! Peeler – I hate peeling stuff and hate it even more with a knife. I’ve shared on how to use carrot peels to avoid waste but most of the time I avoid using a peeler so rarely bring it with me. Carrots, potatoes all taste great with peel. However, the peeler is super handy to make slices of carrots in salads. Hand blender – This one I never brought but some of my colleagues did and I consider it very useful, especially if you want to it healthier while you’re away and know you won’t have that much time. If it was Winter in Chile it’d also be good to make soup for the week but I’m not a big fan of soup in the Summer. Silicone mat – I know I’m not going to have time to bake but if I did I’ll definitely bring this.